Jennie attended the College of Charleston, where she earned a Bachelor of Science in Physical Education with an emphasis in Exercise Science. She then graduated from the Medical University of South Carolina in 2008, with a Doctorate in Physical Therapy. Jennie is a member of the American Physical Therapy Association as well as a member of the Academy of Pediatric Physical Therapy. 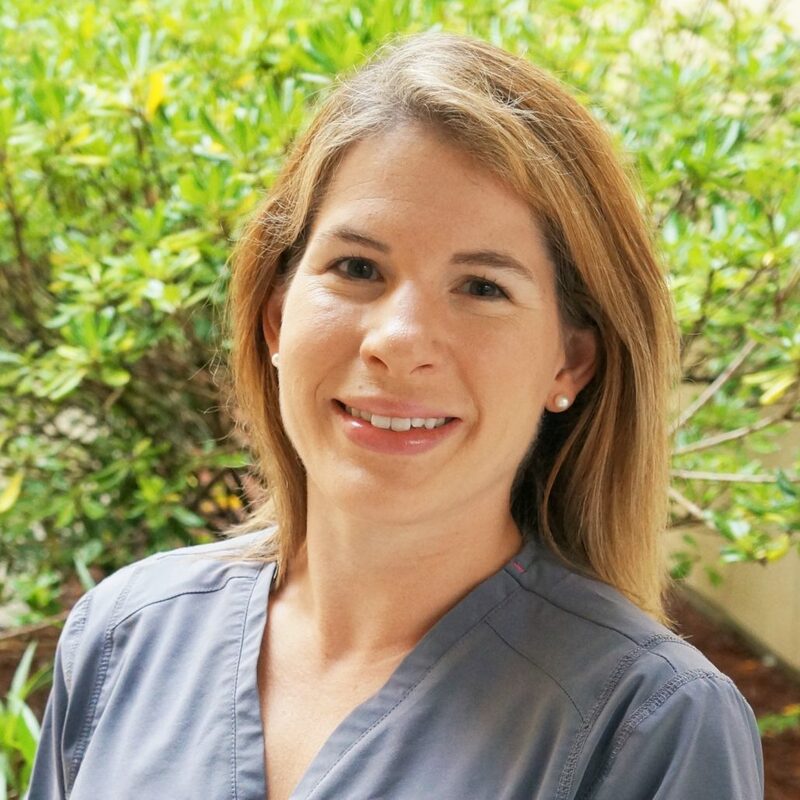 Jennie had the desire to work with the pediatric population since beginning PT school, and she has clinical experience in the school-based setting where she has had the opportunity to work with children of varying ages and diagnoses. She enjoys working with children and their families to promote greater independence and participation in their day to day lives. Jennie has a special interest in working with children with developmental disabilities within the natural environment to achieve their gross motor goals. Jennie enjoys baking, running, and spending time outdoors with her husband and twin daughters.